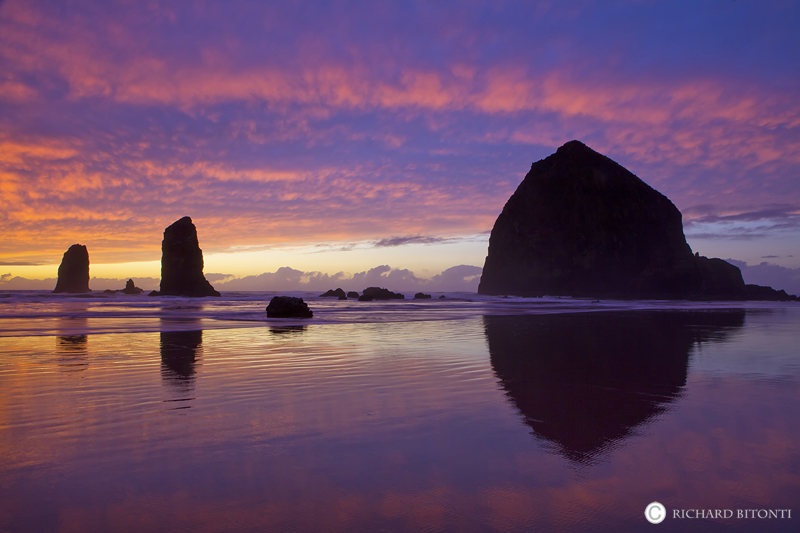 A firey sunset begins to fade over Haystack Rock at Cannon Beach, located on the northern stretch of Oregon's coastline. Cannon Beach, known for its iconic sea stacks, is a quaint beachside community located approximately 75 miles west of Portland, Oregon. Photo © copyright by Richard Bitonti.